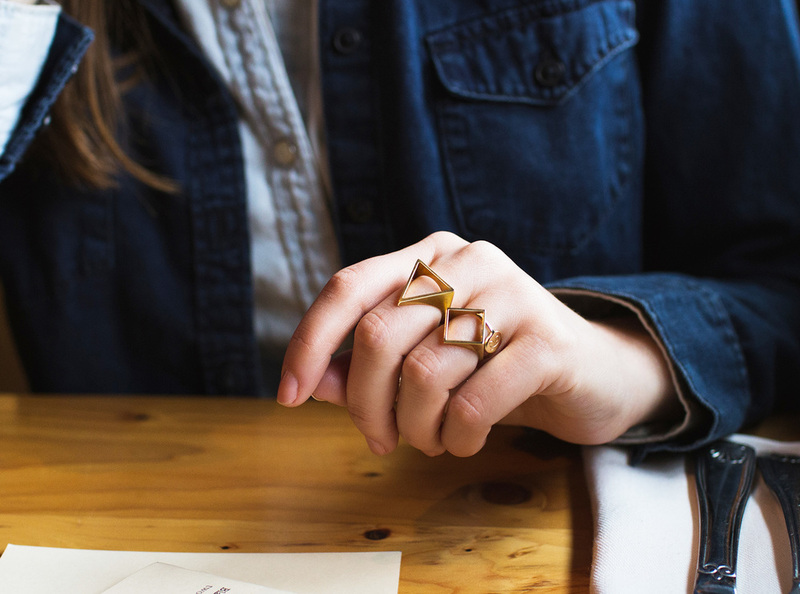 The geometrically inspired forms in this series of 3D printed unisex rings create a clean and elegant silhouette on your hand. each piece is individually made to order - 3D printed, cast, and hand-finished to your specifications. Available in a wide variety of materials and surface finishes.